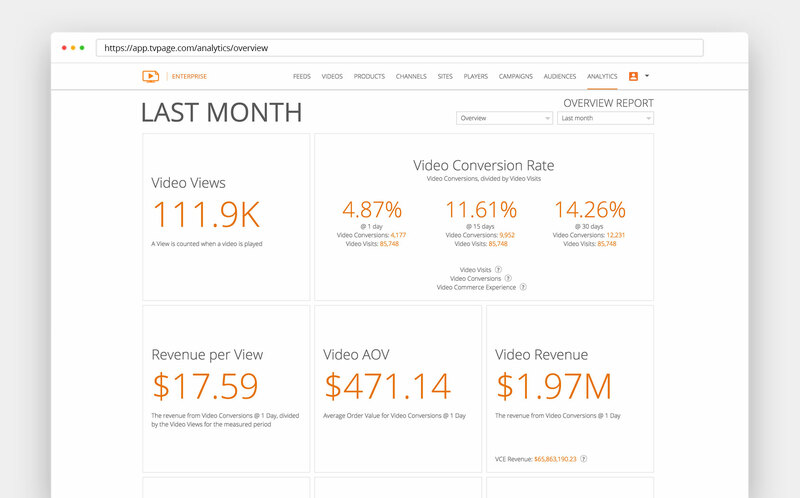 Enable your ambassadors (employees, customers, and industry influencers) to share shoppable videos with their social audiences, driving new traffic and sales. The VCC enables you to launch and run a branded ambassador video marketing program and manage commission payouts to your ambassadors. Candidates apply to join your privately branded program on your website, and approved ambassadors simply log in on your website. 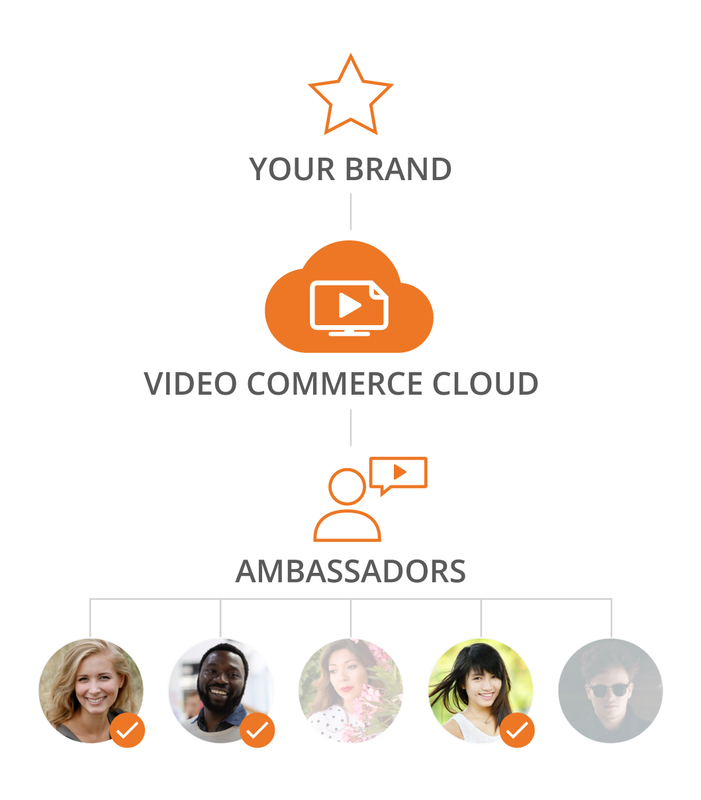 Invite your sales associates to apply and/or tap into the TVPage Ambassador Network. Ambassadors can upload videos and photos and tag them with products by searching your catalog, scanning the products using a built-in barcode scanner, or browse AI-assisted catalog recommendations (see our Product Matching Engine and Video Commerce Intelligence). A shoppable TV Page is then automatically published for every video or photo, and ambassadors can share links to their TV Pages on their social channels. Sales from engagement with the shoppable content generate measurable commission for each ambassador, and they can easily see all of their qualified sales and commission amounts. Manage and moderate all ambassadors and set their commission amounts directly from a master dashboard where you can also repurpose the highest-performing content for dynamic distribution to product pages, category pages, and media campaigns. 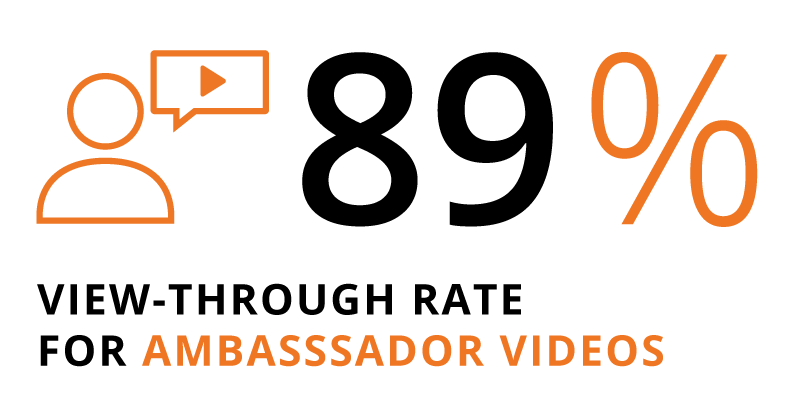 On average, shoppers watch 89% through on ambassador video content, with an average of 2.5 minutes duration per video (determined from an extensive study of all TVPage clients across a 12 month period). This means that ambassador videos are generating retention sessions that exceed 2 minutes, compared to a fraction of such retention on other pages of the site.